This ’80s strip mall has had a Chinese restaurant of one name or another for 30 years: first Royal China, then Golden Buddha and then, since 1998, Golden China. 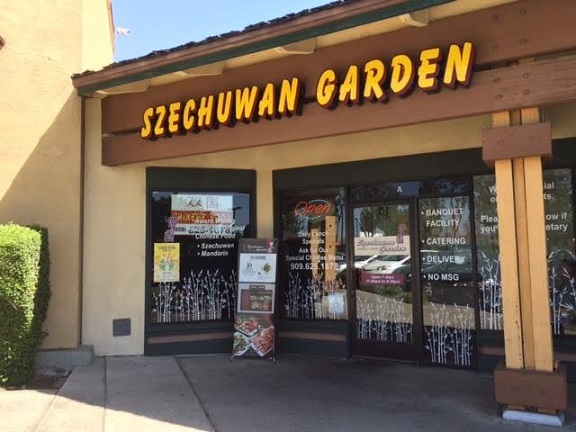 When it closed in 2014, after a long run, its replacement was yet another Chinese restaurant, Szechuwan Garden. Thankfully, they made the place over, ditching some of the dated touches that left you wondering if A Flock of Seagulls might drop in for a pu-pu platter. 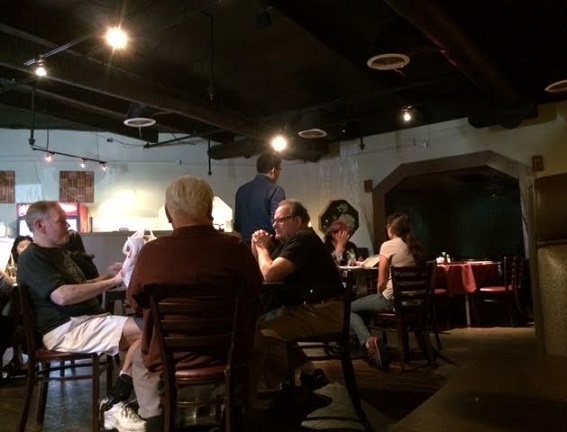 The dining room is more industrial now, the lighting is focused and the atmosphere less tacky. 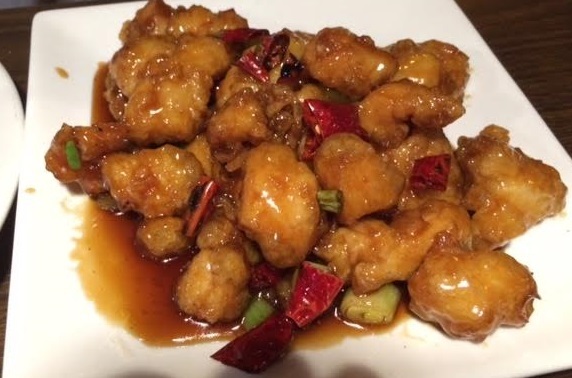 The menu is slightly more interesting than your typical Chinese American restaurant — shredded pork with dry bean curd, chow fun — but largely has familiar dishes, even moo goo gai pan, and cream cheese wontons, but no orange chicken at least. I had lunch there last month with a friend. He got tangerine chicken off the lunch menu ($7), while I got one of the chef’s specialties, Mao braised pork belly ($13). His came with soup, salad and egg roll. They gave me a soup to be nice. He liked his lunch, and mine was pretty good too, soft chunks of pork belly atop sauteed spinach, with brown rice on the side. Inland Empire had named it to its 10 Dishes to Die For list, a display at the entrance had boasted. This isn’t San Gabriel-style authentic Chinese food, and thus I wouldn’t recommend driving across the valley to eat here. That said, it’s clean and comfortable, a small step up from Golden China, and in a time when decent sitdown places for traditional Chinese food are becoming scarce, I wish them luck. 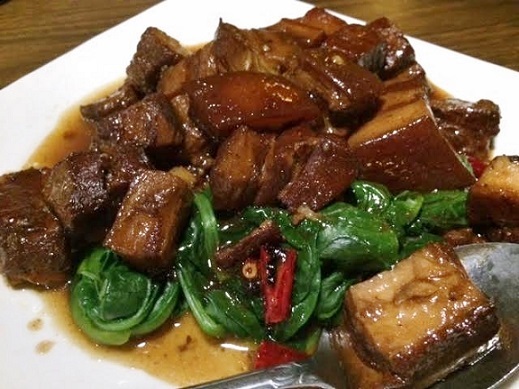 This entry was posted in Restaurants: Montclair and tagged Chinese, Montclair, restaurants by David Allen. Bookmark the permalink. We like this place. Improved decor and some nice menu variations. That’s a good capsule summary.